iPad & iPhone users love their device. We want to work on the iPad & iPhone, We want to sleep with the iPad & iPhone. we want to do everything with the iPhone only..!. Today people spend more time on iPad pro & iPhone than Mac Computer. People hate desktop or laptop. Everybody wants to work on mobile or small devices only. Because it is easy, portable, work from anywhere, light-weight, less eye strain, instant update, notifications and everything. There are so many apps helps to make anything on iPad & iPhone. For example, you can easily use the entire Microsoft office on the iPhone. 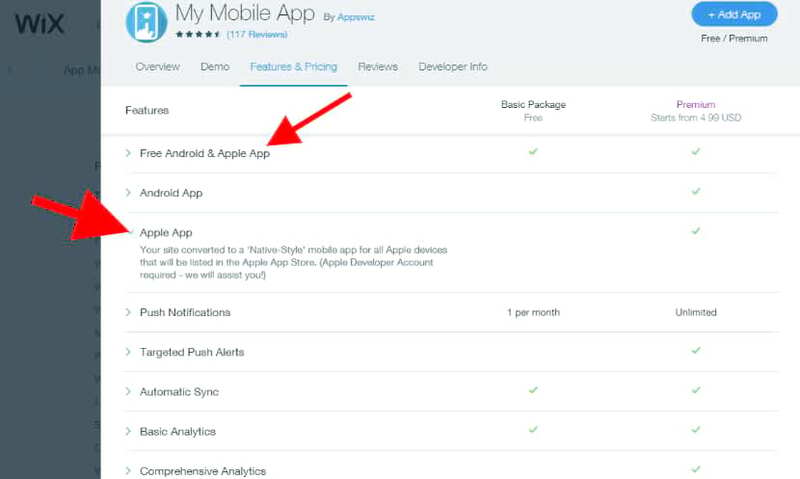 In the same way, you can build & manage a website on the iPhone or iPad..! There are many easy iPad compatible website builder apps available for both free & paid versions. Let’s look at the best IOS website builder or website creator apps in 2019 for the iPhone & iPad. Visit Wix & Try For FREE! Create Your Own Website On Wix For FREE! Wix is the easiest true drag and drop website builder in the world. There are no other website builders easier than Wix that I can bet you..! 2 different scenario comes here. The second scenario is Wix my mobile app that converts your Wix website itself into the iPhone, iPad or Android app automatically..! First, you have to create a website on Wix on the desktop, then install Wix mobile app & sign in. But you cannot able to create an account in the app directly. You must have an account before you use the Wix app. Wix IOS app got 4.7 stars out of 5..!! with 8.1k user reviews..! Really impressive ratings. Compatibility – Requires iOS 10.0 or later. Compatible with iPhone, iPad, and iPod touch. In the app store, Wix doesn’t show iPad screenshots in the app store preview, but it is perfectly Compatible with iPad &. Wix iPhone or iPad app offers you drag-and-drop builder designed specifically for the touchscreen. 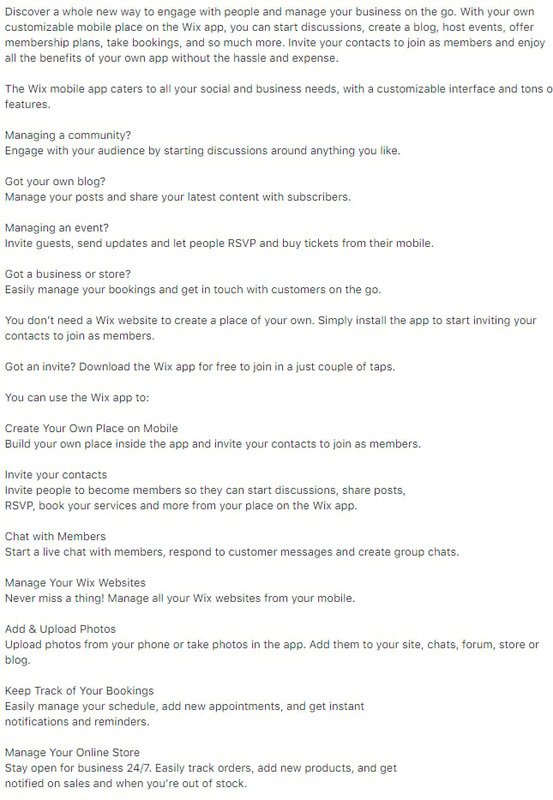 Here are the Wix iPhone app main features. If you want to convert your website itself into an iPhone app, then no worries, you can do it easily. 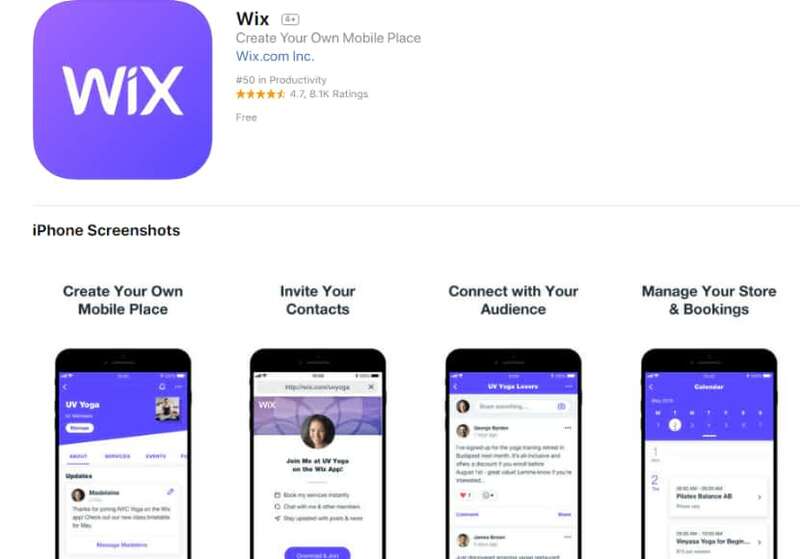 If you created your website on Wix, then you can convert your entire website into an iPhone or iPad app using a single button within a minute. My Mobile App available on Wix app Market. This app will automatically convert your Wix website into an android and IOS app..! Then your website works like an app as well as a website. If user type on google or URL bar, then your website loads as a website, when the user types your website on the iTunes app store, then your website app will appear & people can install your app. So that your website (That is the app) will be seen on user devices & you will get more visitors and conversion. The app is like already downloaded your entire website that crafted for Mobile screens. So they get the better UI & faster user experience. 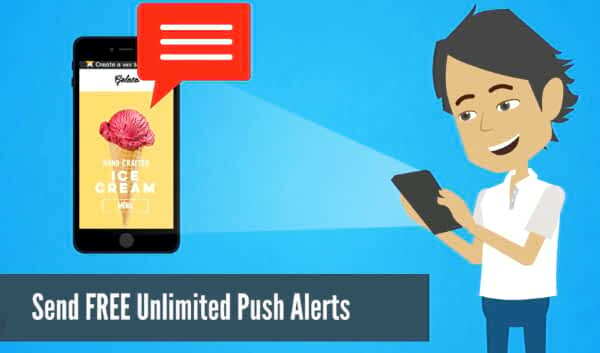 You can send unlimited push alerts to iPhone users. You can perform almost all functions & actions through your Wix iPhone app. Can you do all work using the app just like in the desktop? You can use 2 modes. one is 100% true drag & drop editor, another one is blocks like an editor. Wix is the best website builder in the world for iPhone, iPad as well as desktop. Sign up on Wix for free through a desktop. Then take your iPad or iPhone, install Wix iPhone website builder app . Using that app, you can create, manage & run a new website or your existing Wix website. You can convert your created website itself into an iPhone app using My Mobile App. Weebly is not 100% drag and drop website builder. But it is one of the good company in this industry. Weebly also got a good rating, but it is not popular as Wix. Use the intuitive drag-and-drop builder designed specifically for the touchscreen. You can see all the stats and activities. Even you can create your own online store using the app. 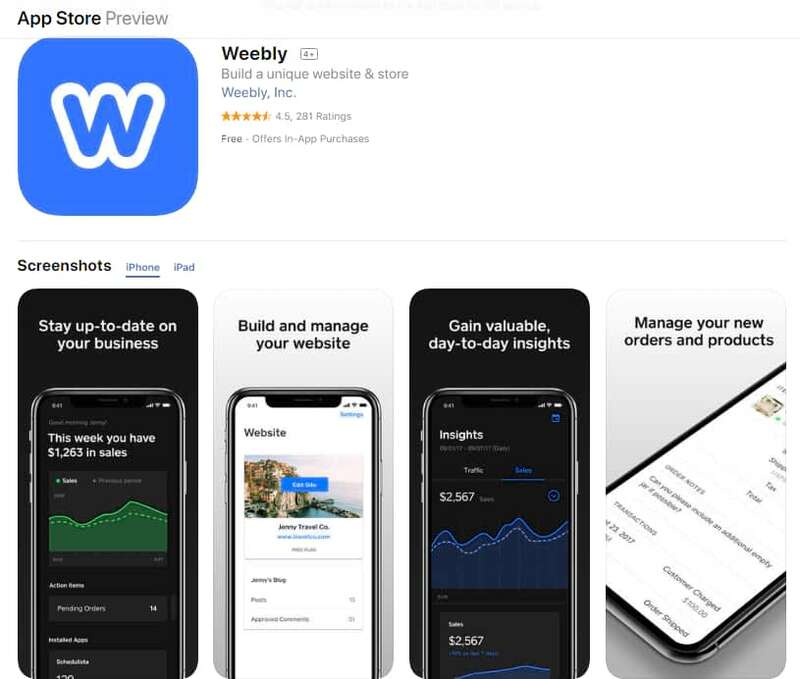 In the Weebly app center, you will get a lot of iPhone related apps for your Weebly website. After you create your website, then you can use many mobile related apps that help to perform the action on iPhone & iPad. Chances of completing your website using your iPhone only. Highlights: All e-Commerce features, app market, booking system, event, marketing tools, mobile optimization & more we tools. Weebly is also one of the top website builders that can fit iPad & iPhone. Sign up on Weebly for free through a desktop. Then take your iPad or iPhone, install Weebly iPhone website builder app . Using that app, you can create, manage & run a new website or your existing Weebly website. You can convert your created website itself into an iPhone app using Weebly mobile converter. You can use many Weebly mobile related app to tweak your iPhone site. 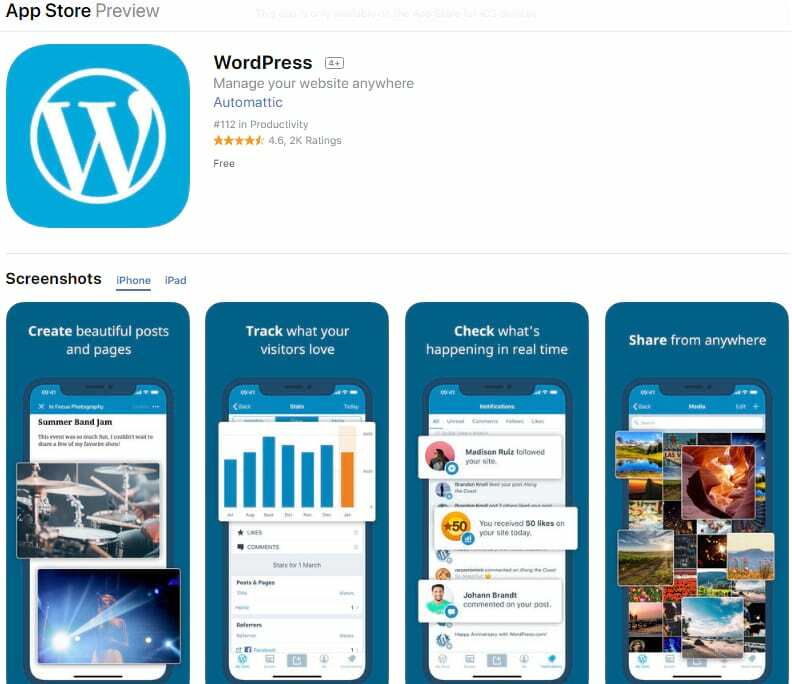 Go to WordPress .com & you sign up for free, then install WordPress app on iPhone & connect to your website. Now take a look at iPhone WordPress app. You can easily manage or create your WordPress blog or website right from your iPhone or iPad device. You can create and edit posts and pages, upload your favorite photos and videos, view stats and reply to comments etc. You can’t install new plugins from the app. No plugin settings in the app. So all plugin related task you can’t do on the app. If you want to work with plugins, then you have to login WordPress dashboard (You can log in from the iPhone or iPad) its website itself work as an app. So you can install new plugins, themes & work anything you want directly on your iPhone or iPad browser. There are two types of WordPress. One is open source WordPress.org & it is the most popular web building application in the world. You get 70,000+ plugins & 50,000+ themes for free and unlimited premium third party items. But you should read this step by step guide – How to make a website with WordPress.org , otherwise, you can’t create it. 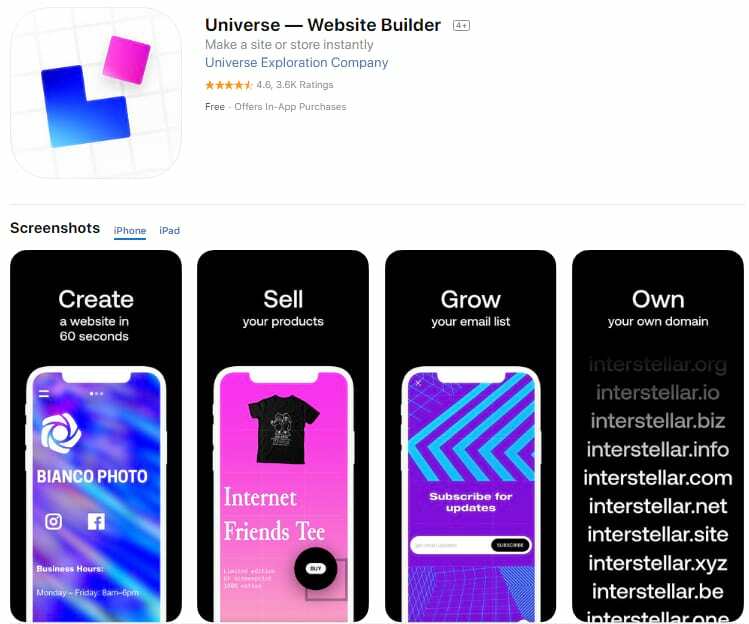 Universe website builder Requires iOS 11.2 or later. Compatible with iPhone, iPad, and iPod touch. Universe pro for 1 site – $ 79.99 + domain name (No free domain). It may cost from $15 to $100 depending on which domain you choose. Chances of completing your website using your iPad only. 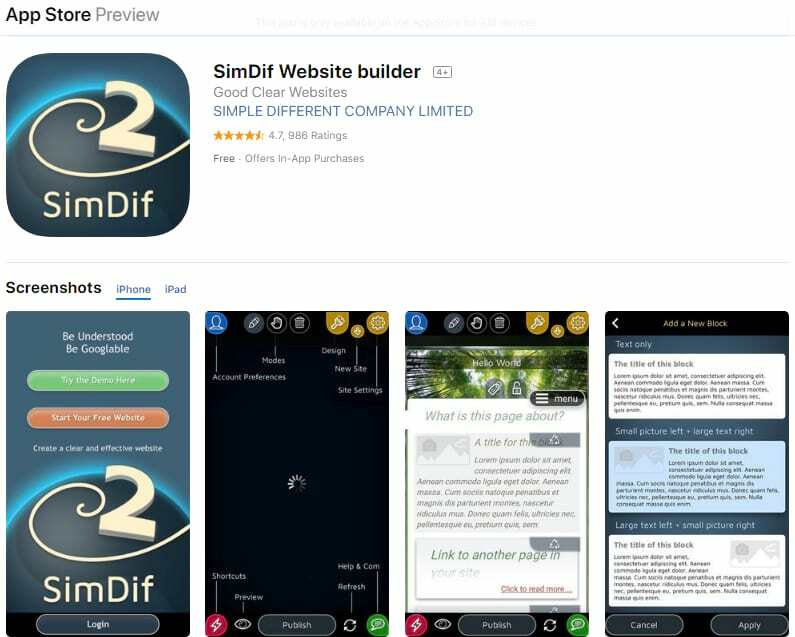 SimDif is Mobile only website builder. Unlike Wix or WordPress, you can’t edit on the desktop. Simdif users are declining. No advancement in the app in recent days & it is limited. Very few users use on the mobile only. So there is less bug fixed. If you get any problem, then you may not get quick & good tech support. 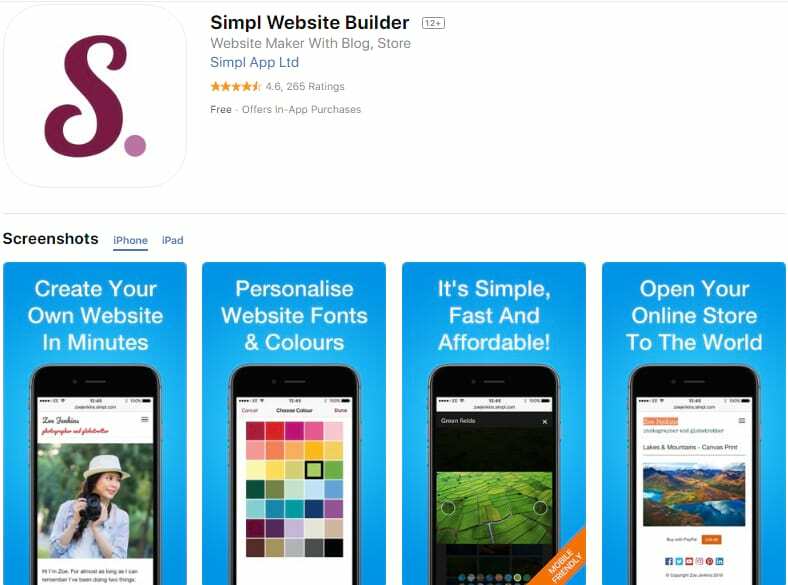 Technically SimDif is not a good choice for you, however, if you just need a quick & simple website that can be built on your iPhone or iPad, then try SimDif. This is also an iPhone only website builder just like Universe. If you want to use from the laptop, then you can’t. Only you can edit in the app. The editor is good enough to create a simple web page. Only 30 pages allowed for the pro subscription plan $59. So if you want to blog or you want more pages then you may need to ask their support permission (Because there is no plan for unlimited pages) & you may need to pay more money. 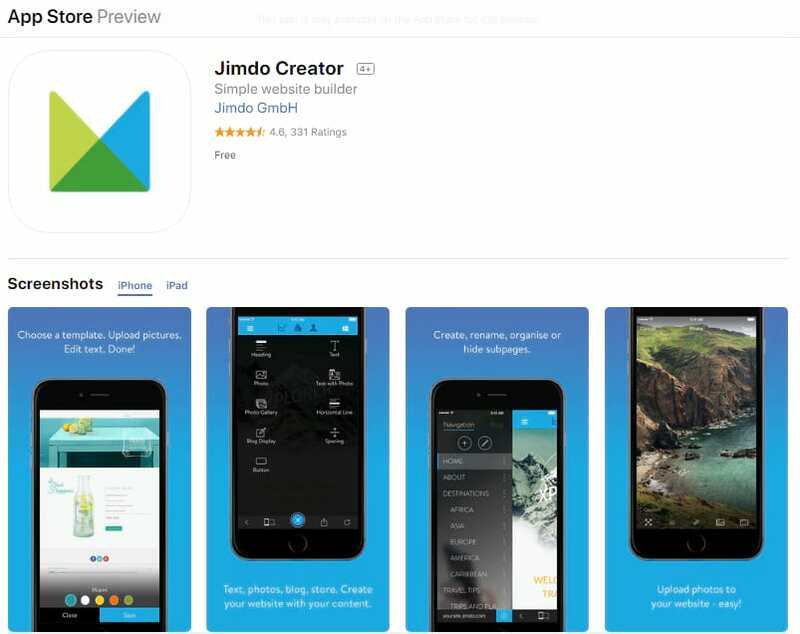 Jimdo is not concentrated about its app builder, but it launched its app to give its users to manage their Jimdo site easily like small updates, notifications, comments etc from the iPad/iPhone. You can’t edit, create, publish your website entirely depending on the iPad app only. Godaddy iPhone app is good enough to build a quick & simple website. You can easily use it. 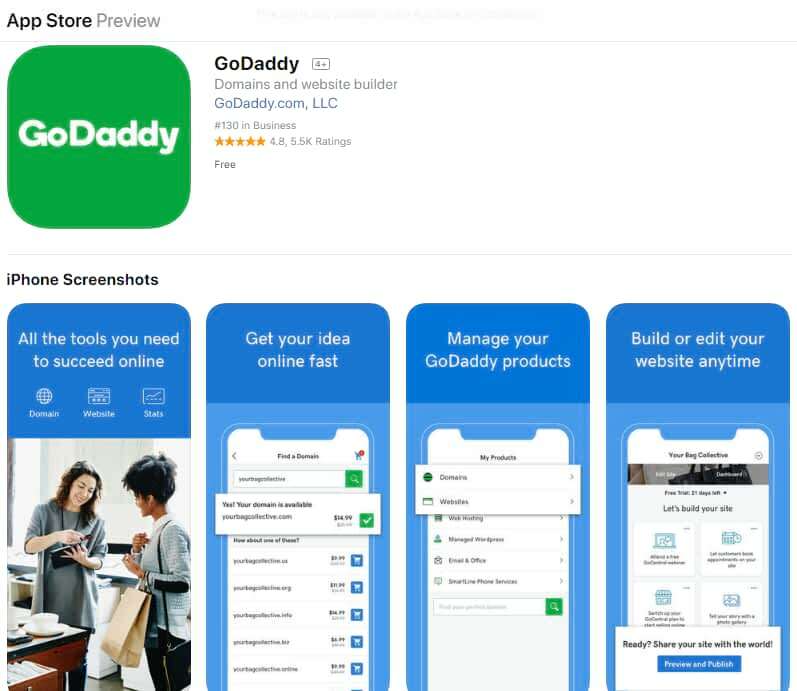 You can manage your complete Godaddy dashboard from your iPhone or iPad. Godaddy pricing varies from country to country. They make little bit costly plan to developed rich countries like USA, UK, but they give a cheaper plan for poor countries like India. Conclusion: Overall Godaddy experience is good. The above reviews based on users opinions. If you want to know webmasters step by step general as well as deep review, then click on the below button. Squarespace first look is fantastic, but on the back-end, it is not a good website builder. Squarespace load slowly. Sometimes apps getting crash. I don’t recommend Squarespace. But because of its heavy marketing budget, it became popular, & got some good reviews. That’s why I mentioned here. Starts from $12/month, But if you need at least some basic features, then you should choose other plans -> $18/motnh, $26/month, $40/month etc. Conclusion: Overall you may not get a good experience with Squarespace. They give a lot of features, most of them are limited, difficult to use, limited control with costly plans. 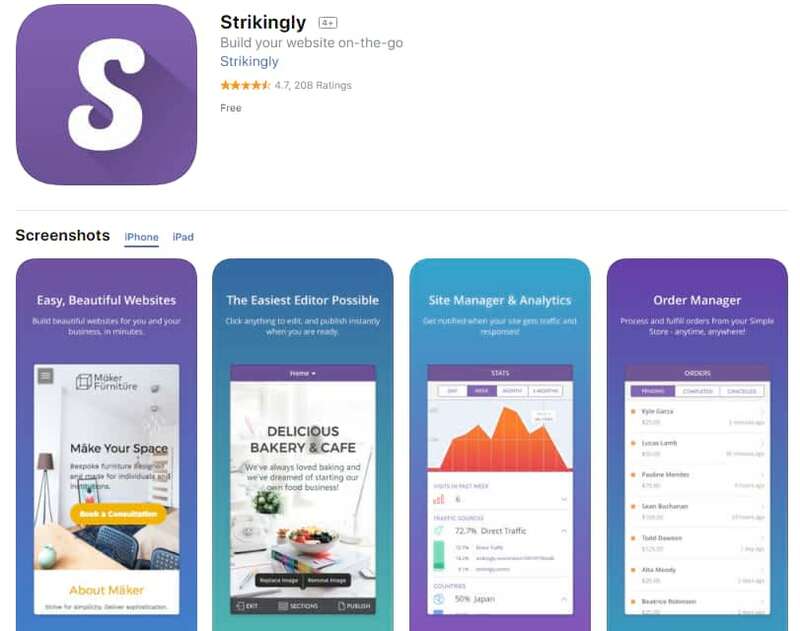 Conclusion: Strikingly is focused on desktop view and not the iPhone app. It just launched the app to make it easier for its user to make some update, see notifications, comments or adding blogs like little tasks. You can’t do everything from the app, however, if you use it on the desktop, then you may feel it is a good website builder. This is also another iPhone/iPad only site builder. Very basic site builder with no updated functionalities. So here I am not digging many details about this app. Final Thoughts: If you want to build your website from your iPad or iPhone & also sometime you may work from a laptop, then I recommend Wix. there are some site builders like Universe, Simdif that works on iPad or iPhone app only. So now you think If you work from your iPad only then also I recommend Universe or Simdif? No, I still highly & strongly recommend Wix..!. . Because if Wix got 1000 features, then Universe or Simdif like site builder got just 100 features. You can also try Universe. But later you may get some problems or you feel you can’t get enough features like other websites. 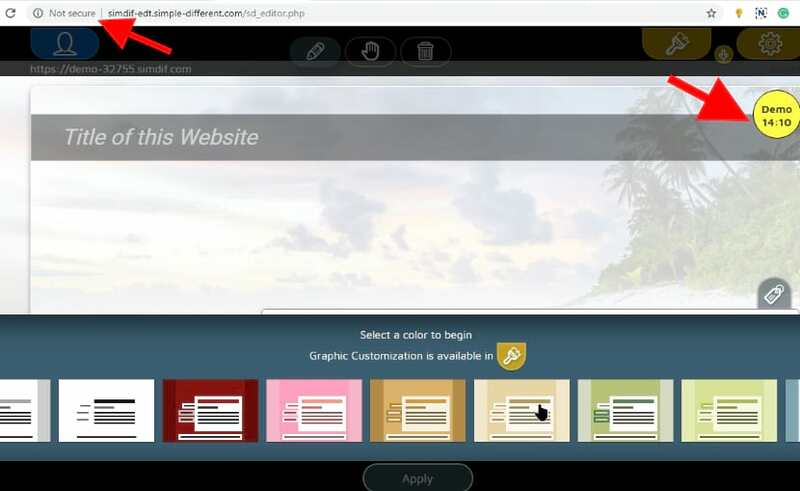 Once you created, then you can’t transfer the exact website, So just Sing up Wix.com for your desktop or laptop or just on your mobile browser, then install Wix iPhone/iPad website builder app. 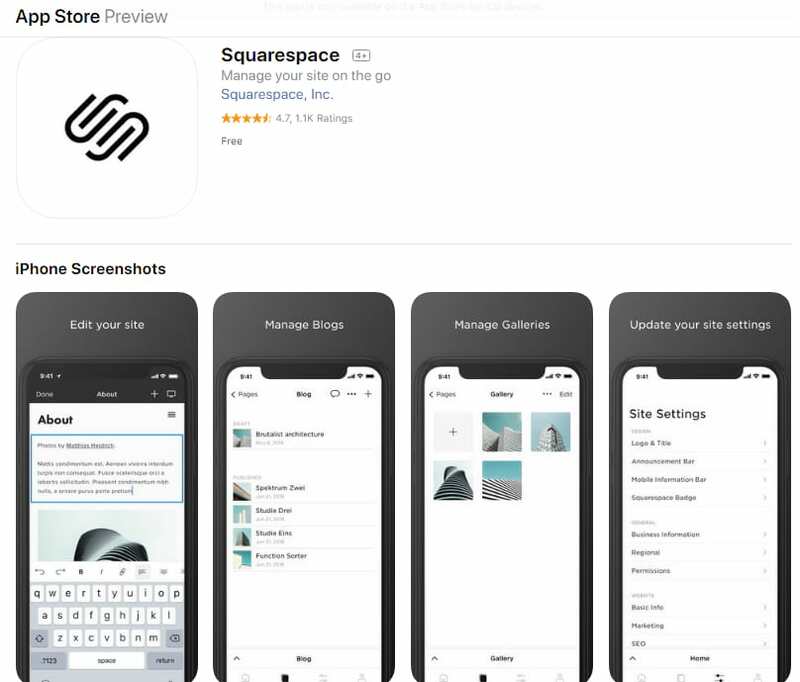 (Wix don’t show its iPad screenshot on the app store, but it actually built for both iPhone & iPad & works perfectly) After that, you can do any type of website from your iPad/iPhone.